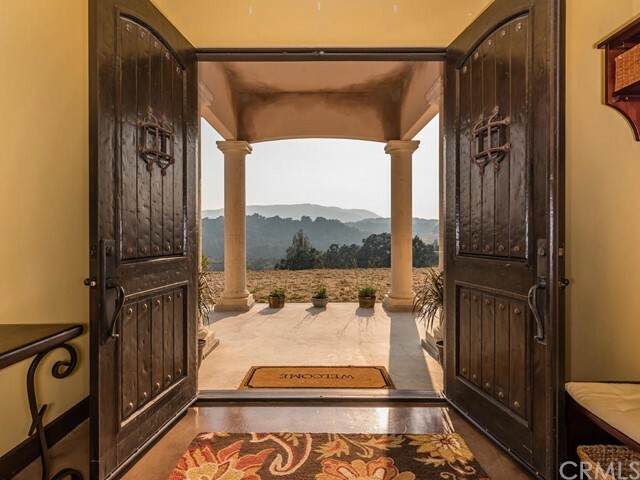 Located in the heart of Paso Robles Wine Trail within the sought after "Paso Robles Willow Creek District AVA", an Italian Villa, perched on the top of 20+/- acres overlooking south west facing, plantable perfect soils. Below, sits the charming original Homestead built in 1925, including a red wood barn, milk barn,large shop/garage and orchards. Walking distance to Denner Winery. The main home built in 2007 is well appointed, 4 bedrooms and 4 Baths and is a County registered vacation rental with impressive income history. Original homestead is a 3 bedroom 2 bath home. Note: County information has grouped square footages.